Random title there. Anyway, I wanted to speak up about something that happened regarding tribute bands about a year ago. Be warned, this is a bit of a rant. So, all of you who've been reading my blog for a while know that I do not like bad tribute bands. For sure there are tribute bands that are good, but there are bad ones as well and I really can't stand them. I wish I could help to improve the bad ones and make them better, but I'm just a nobody who doesn't have any impact in the world. A brilliant idea once came into my head about creating a tribute band that would be as accurate as possible. 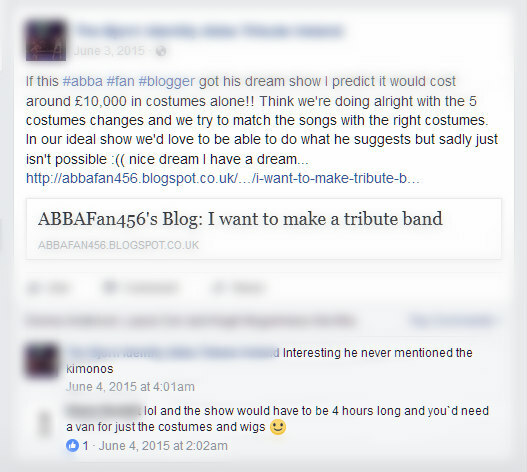 Of course it would be expensive and it would take a long time to create a tribute band with authentic costumes, etc, but a girl is allowed to dream! 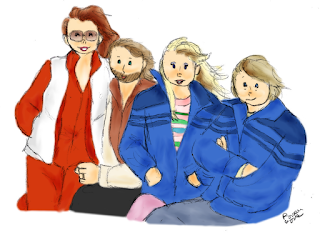 So last year, on April 13th, 2015, I wrote a long blog post about "my tribute band". Never did I say that I would actually do this since I'm a nothing, but it seemed like a nice idea to me. Unfortunately, some people didn't agree with me. There is a tribute band that I once wrote about on my blog, but I'm not going to say who because naming and shaming is wrong. Usually what I have to say on tribute bands is pretty negative, but this one I thought was pretty good! The members of this band liked what I had to say and shared it on their facebook page. I was quite surprised and honored that a little person like me got featured on their page. Before saying my comments on the matter, I'd just like to say this: I notice that the members of the band/person running the page seemed to think that I was saying this about their band. By no means was I trying to insult them or tell them how to run their shows! Firstly, so what if it would cost about £10,000 to make costumes? Just because the costumes would look authentic doesn't necessarily mean the costumes would be made out of the same fabrics as the originals! If I was so particular about that, my doll costumes wouldn't be made out of cotton! I'd use a fake satin instead of the expensive real satin if need be! And when I said that my tribute band would have authentic costumes, I just meant that they would make their costumes as accurate as possible as they can with their budget, not necessarily identical. And I did mention the kimonos in my post. This is what I wrote: "And in the middle of singing Arrival, they can switch to the kimonos." 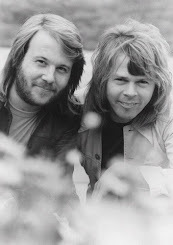 And what the second person wrote about the show being 4 hours long, ABBA performed 25 songs during the 79 World Tour and each concert was about 2 hours long. I mentioned only 20 songs in my post and most likely the tribute band wouldn't perform all of the songs listed, so why would my concert be double the time? Yeah, going backstage to change costumes would take up a bit of time, but I have a fix for that: There can be multiple people playing as ABBA in the show so that when one set goes backstage to change out of their costumes, the next group can come out in the next set of costumes and perform the next few songs. Saying that my idea is impossible is quite a let down and was extremely hurtful. I'm not as offended as I was one year ago, but the sting is still there. I'm extremely sensitive when it comes to these things, I know, but usually I can handle everything. This took quite a blow to one-year-ago me and I'm sorry to say, but I can't look at this tribute band the same anymore. If you read this far, then congratulations. :) If you want to read my original post, you can read it here. Thanks for taking the time to read my rant. Happy 6th birthday, Agnetha Dollskog!